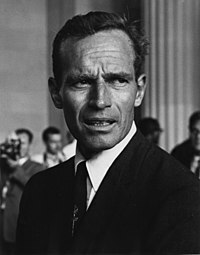 B'aisteoir mór-cháile Meiriceánach é Charlton Heston (4 Deireadh Fómhair 1924 – 5 Aibreán 2008). Bhain a chuid aisteoireachta go mór le Ré Órga Hollywood. Bhuaigh sé gradam Acadaimh dá pháirt sa scannán Ben-Hur. Bhí Heston ina uachtarán ar an National Rifle Association i Meiriceá idir na blianta 1998 agus 2003. Tugadh an leathanach seo cothrom le dáta an 19 Nollaig 2018 ag 13:48.